Say goodbye to your lash curler and say hello to an eyelash lift! What is an eyelash lift? An eyelash lift is not your traditional lash perm where salons wrap your eyelashes around a sponge rod. This new treatment uses silicone pads to lift your lashes from the root up brightening your face and opening your eyes. Treatment time takes about 30 mins and results can last anywhere from 6-8 weeks and up to 12 weeks in some cases. This is a great alternative to those that don't like the idea of maintaining lash extensions. 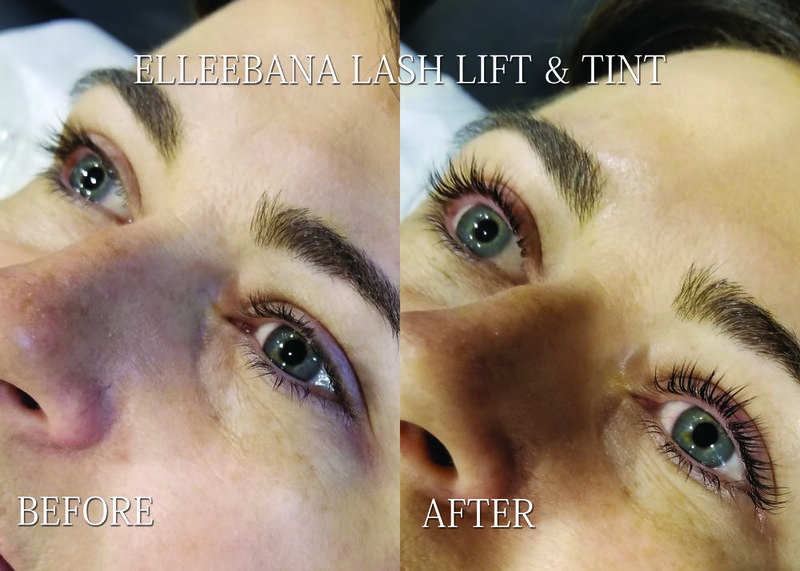 Marianne from Prettyful Hair and Makeup are one of the very few lash lift artists in Toronto and the GTA whom is offering lash lifts using the Elleebana brand. Minimal after care required! Swim, shower and play with no fuss! A $30 deposit is required to hold your booking. Scheduled appointments that are cancelled within 48hrs of the booked time or no shows will not be able to use their deposit towards a new appointment. I've had eyelash lifts done at other places, from techs working out of their homes to high end downtown salons, but Marianne at Prettyful has been my most pleasant experience by far in terms of the finished result and the process leading up to it. I got an eyelash lift - an amazing experience and changed my lashes for the better. Love Marianne - she makes the experience relaxing and enjoyable! Plus, the bonus hand massage is amazing! "Very happy with the results"
Marianne is very skillful and she gave great customer service. I am very happy with the results and would definitely get an eyelash lift here again. 10/10 would recommend to anyone looking for a lash lift. Book an appointment to get your eyelashes lifted today! Trust us, your morning makeup routine will be long gone and you'll get an extra 10-15 minute snooze each morning. Prettyful & Co © 2016. All rights reserved.